Join Elisabeth Robson for an in-depth discussion in this video Encapsulating code that varies, part of Programming Foundations: Design Patterns. Design patterns are reusable solutions that solve the challenges software developers face over and over again. Rather than reinventing the wheel, learn how to make use of these proven and tested patterns that will make your software more reliable and flexible to change. This course will introduce you to design patterns and take you through seven of the most used object-oriented patterns that will make your development faster and easier. Elisabeth Robson and Eric Freeman, coauthors of Head First Design Patterns, join forces to provide an overview of each pattern and examples of the pattern in action. Featured design patterns include the strategy, observer, decorator, singleton, collection, state, and factory method patterns. 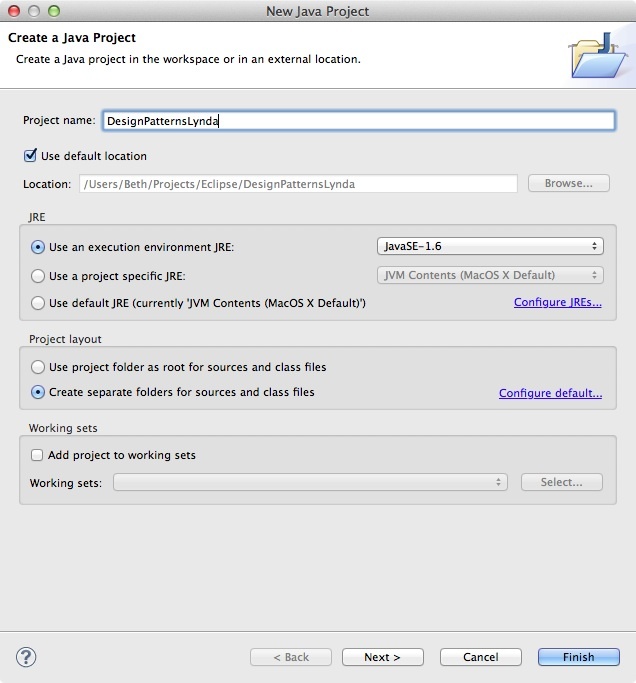 Q: How do I import the exercise files in Eclipse? 1) Save the download folder as any name you choose, such as DesignPatternsLynda. Place this folder in the default Eclipse project folder (the folder you choose when you start Eclipse). 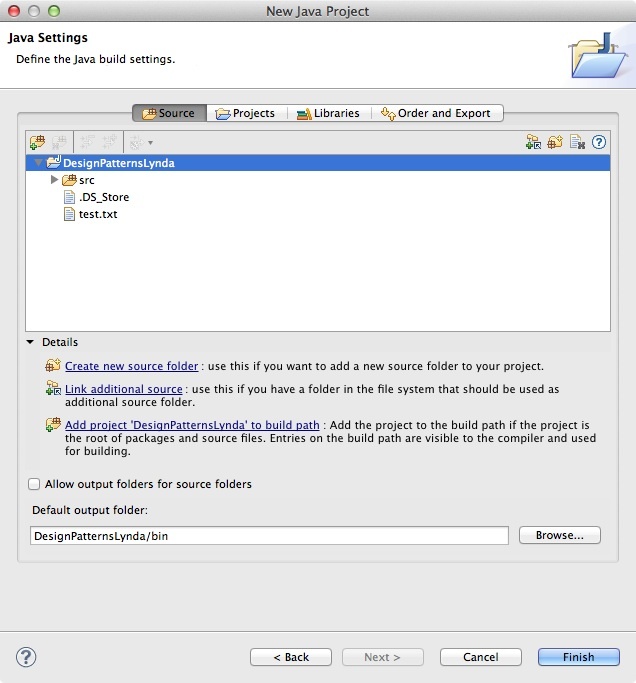 3) In Eclipse, choose File > New > New Java Project. 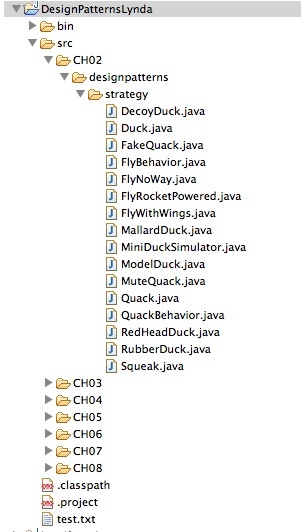 9) To compile the code, open the folder you want to work with and choose the main class. 10) Choose Run > Run As > Java Application. What is the singleton pattern?